We help you to keep your clients happy by letting you offer some of our additional services to them. This will keep you ahead of your competitors and make you stand out. You might want to create and keep a complete backup of your website and we believe that it is the best practice to do so, as it helps you to protect yourself from data loss. MilesWeb backup service is fully automated and it doesn’t require you to remember taking regular backups out of your busy schedule. Your complete website data and email will be backed up on weekly basis. We take daily backup of your database with 7 days retention period. And it’s quite easy to get the backup restored. This backup will be taken from the point you opt-in for our automatic backup service. Moreover, you can also offer the website backup service to your clients as an extra attribute or charge a specific amount of money- The choice is yours. With the widespread adoption of HTTPS due to the recent Google update, your customers are more likely to secure their sites with SSL. Although every website under your reseller account is protected with Let’s Encrypt SSL which is free, some of your customers may still want assured security for their sites that may have to deal with sensitive information such as card details or other online transactions. It is recommended that you add higher level of encryption for such clients. SSLs are mainly of three types - Domains Validation (DV), Organization Validation (OV), and Extended Validation (EV). We offer all these types of SSL namely, Domain SSL (DV), WildCard SSL (OV) and TrueBusinessID (EV). With the Domain SSL, it protects all the sensitive data that is transmitted by encrypting it and is mostly suitable for startups or small business websites. A green padlock appears once this certificate is installed. The verification process is simple and just takes a few minutes to get it issued. To keep you assured, a guarantee of $10,000 will be given as your warranty amount. A WildCard SSL allows protection for a website’s subdomains too. With a green padlock and $200,000 as a warranty amount this certificate gets issued just within 5-7 mins. TrueBusinessID EV SSL displays a green address bar while someone accesses your website. It helps to encourage customers to shop safely on your site and builds more trust among them. To get this certificate issued, you need to go through a verification process which can take 7-10 days. Why Choose SSL Certificate from MilesWeb? MilesWeb SSL certificates are trusted by authorized providers such as Let’s Encrypt, Comodo and world’s second-largest digital certificate provider - GeoTrust. Let’s Encrypt is sponsored by ISRG and is an open certificate authority. Whereas, GeoTrust provides our True BusinessID SSL certificate, and Domain SSL is incorporated with Comodo SSL. Simply keeping your customer’s data safe is going to be beneficial in terms of building their trust. Google prefers to rank sites that have SSL installed. After switching to HTTPS the overall visibility of the page gets improved. The biggest advantage of SSL is that it encrypts all the data that is transmitted between the browser and the server. By keeping all this information secured, it becomes quite challenging to decrypt the data even if the data gets compromised. WHMCS is an all in one hosting solution that lets you handle billing and support ticket request of your clients. It automates and streamlines the daily process and repetitive operations of a reseller. 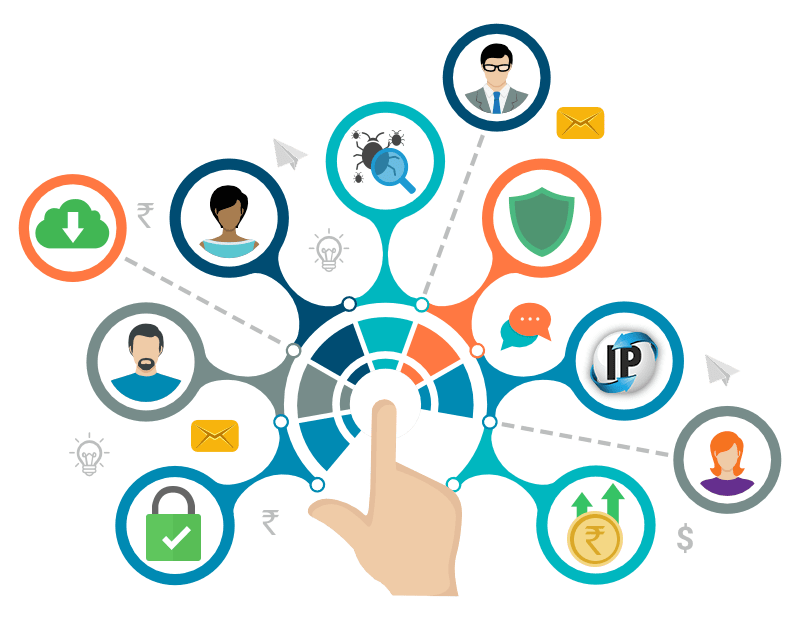 The interface is extremely user-friendly and allows you to create invoices in different currencies, manage real-time domain and client sign ups to termination. WHMCS automatically generates the invoices of your clients and directly delivers it to their inbox. There is no manual process of generating invoices and sending them. WHMCS is designed for businesses of all sizes. It is completely scalable and secure. With WHMCS you can incorporate website security from- rapidSSL, Cloudflare or Symantec services. To let your customers experience a fully featured platform, WHMCS gives you a portal with ticketing system, wherein your customers can raise a ticket via email. With WHMCS all the processes such as generating invoices, sending reminders, collecting payments is done automatically. As all of this is doesn’t require a manual job and completely automated, you save a lot of your time. SpamExperts helps in filtering the incoming email messages to prevent the delivery of spam, phishing or malicious emails to your inbox. All the suspicious emails will be stored separately in quarantine folder which can be later marked as genuine email if required. SpamExperts is a self-learning structure and the latest detection mechanism automatically accommodates new spammer tricks and grasps your preferences based on what you consider as spam. You do not need to manage anything manually. Protect unlimited mailboxes from spam emails for just 3/mo per domain. Cloudbric equips all-in one protection for your customers concerned about the security of their website. It helps to safeguard the website with its premium features like protection against DDoS, web application firewall and SSL certificate. Cloud based web security service for complete protection of your website at 9/mo per domain. Cloudbric is one of the most efficient web application firewalls in the market on today’s date. The Web application firewall filters and blocks any type of web attacks. It protects the website from known and unknown attacks by analyzing the malicious behavior with unique detection techniques like ‘Semantic analysis’ and ‘Heuristic analysis’. A DDoS attack can knock down a business completely. And it likely results in brand degradation and financial loss too. Cloudbric’s DDoS protection blocks the suspicious traffic and renders those attacks with its smart detection technology. Cloudbric not only protects websites against DDoS and cyber threats but also provides a secure connection between a web server and the visitor’s browser. They provide you with a Free SSL that utilizes Let’s Encrypt certificate to cover each of your domains. We have all in one cloud backup solution for businesses of all sizes. It is completely reliable and easy to use. You can take complete backup of your data from your mobile devices, desktops, virtual machines or Office 365 via our Acronis backup service. Once you subscribe to this backup service, your data will be backed up in the cloud to secure it from any disaster. You can restore this data just within few seconds at anytime and from anywhere which is stored at our cloud. Offer your customer our VPS plans for a lower price by keeping your own profit. Being our reseller customer, you get MilesWeb Linux VPS and Windows VPS plans at 10% discount. This will be the recurring discount, which means the concession is applicable even at the time of renewal. In VPS hosting plan, your clients will get full root access over the private server environment of a virtual server. Additionally, they get resource monitoring dashboard that helps them to manage server load, memory usage and other server resources. The VPS servers of MilesWeb are integrated with SSD, which makes them faster and reliable for boosting up your page load speed. Your VPS customer can also choose the data center of his choice from India and US, depending upon the area of his target visitors. Try Our SSD Reseller Hosting at just $4.46/mo.